This month we are celebrating a major milestone for one of CLIM’s sponsored pastors: Matthew Deng’s church is finished. For Pastor Matthew and his congregation, this building is many years in the making. CLIM has supported Pastor Matthew for 10 years. We first met him in exile in Israel, where he studied to become a pastor. After independence, he returned to South Sudan, and started a church in Juba. 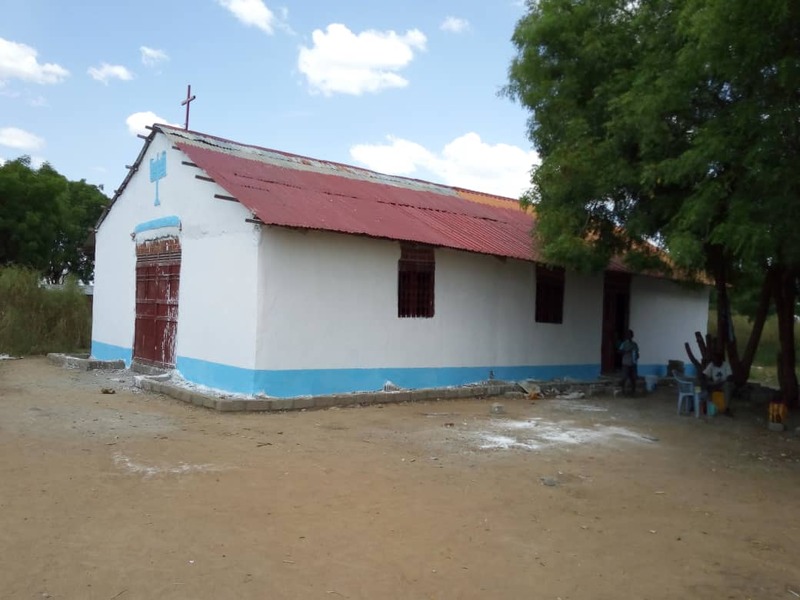 Although they have not had a completed structure until now, Pastor Matthew and his congregation have been doing good work for many years, preaching the Gospel, holding healing and deliverance services, and doing radio and street evangelism in this region otherwise rocked by violence. 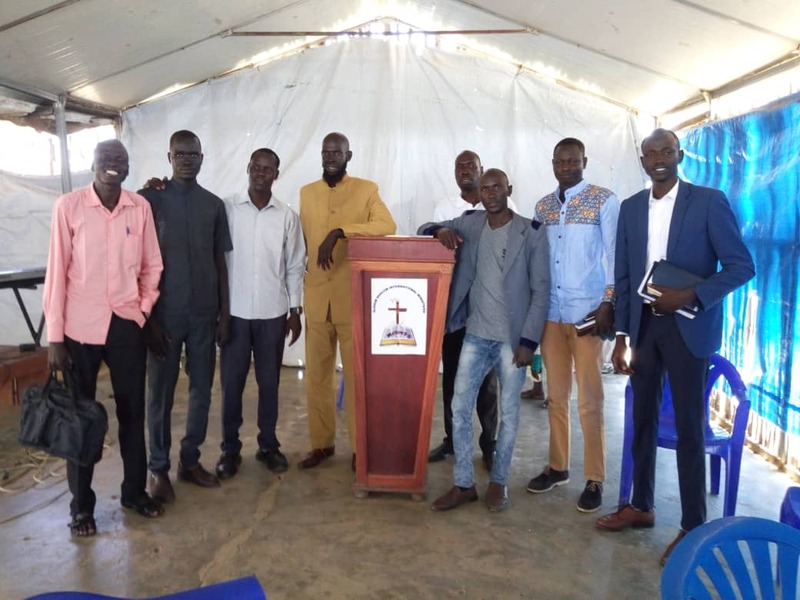 In 2016, when the Southern Sudanese coalition was falling apart at the seams, a nearby village was burned to the ground and in Juba, dead bodies turned up in the street outside Pastor Matthew’s church. Still, Pastor Matthew persisted, preaching revival and hope. 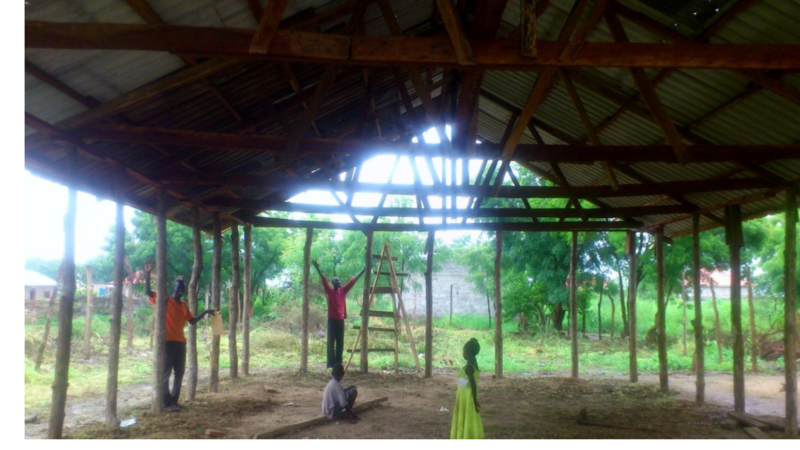 This picture is taken during that time, when Pastor Matthew rejoiced and gave thanks for the new roof on his church, instead of bowing before pressure and uncertainty. This month, we are celebrating with Pastor Matthew as his church is finally finished. Praise be to God for this structure that will be a place of refuge and truth, no matter what uncertainty rages outside.